Jalikhar and Gongkhar townships under Bumthang Dzongkhag Thromde are not happy with the inconsistent water supply provided by the municipality. The shortage has affected more than 50 households. Some residents have resorted to installing private tanks. Others store water when there’s supply. Some families rely on pool water. 36-year-old Sonam Phuntsho and his family have been drinking from pool water for the last four years. “We have to keep on filling up our water containers and pots day and night,” Sonam Phuntsho said. Residents said the municipal water supply is so erratic that the only time they get to fetch water and fill up their buckets and jerry cans is during midnight and early morning. “Since the supply is so irregular, I had to arrange a private water supply,” Sonam Phuntsho said. “As the supply is not sufficient, we even face difficulty in doing our dishes. We have to store the water in containers to do our daily household chores,” Tsheten Dorji said. “We have to pay the bills every month but the supply is very inconsistent,” Jigme Samdrup, a Gongkhar resident said. 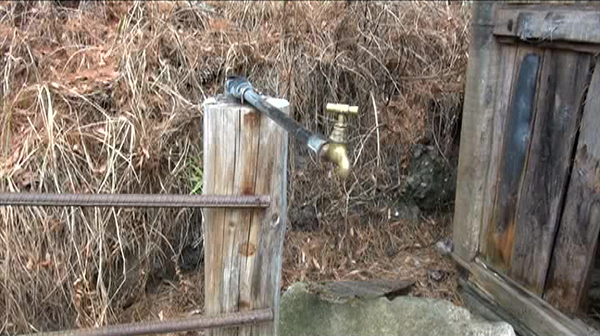 According to the municipality, the inconsistent supply is due to leakages in the source pipe. The municipal authority says it’s working towards restoring the supply soon and that the equipment has already been procured. Moreover, an additional budget has also been allocated to renovate the water supply, according to the municipality. Every household is charged Nu 75 monthly as service charge for water supply and garbage truck facilities. Additional bills for the water supply are calculated according to water meter’s reading.